Try some delicious food at Yongkang Street in Taipei, also called the heaven for gastronomes! Indulge in pan-Chinese cuisine, Japanese, Western, Korean, and fusion dishes unique to Yongkang, too! Despite the heavy rains, this tour was definitely a great way to learn the basics of Taiwanese and maybe, China’s food as well. The tour took us around the Dongmen district, specifically Yongkang street where we sampled dumplings, vermicelli soup with pig intestines, noodle soups, scallion pancakes, bubble tea (milk tea), and shaved ice. The tour was very informative, sharing the history as well as the differences between Taiwanese food and Chinese food, plus all the regional variations as well. The location of the tour wasn’t bad, because Yongkang street also has a lot of interesting local shops to buy souvenirs after the tour. 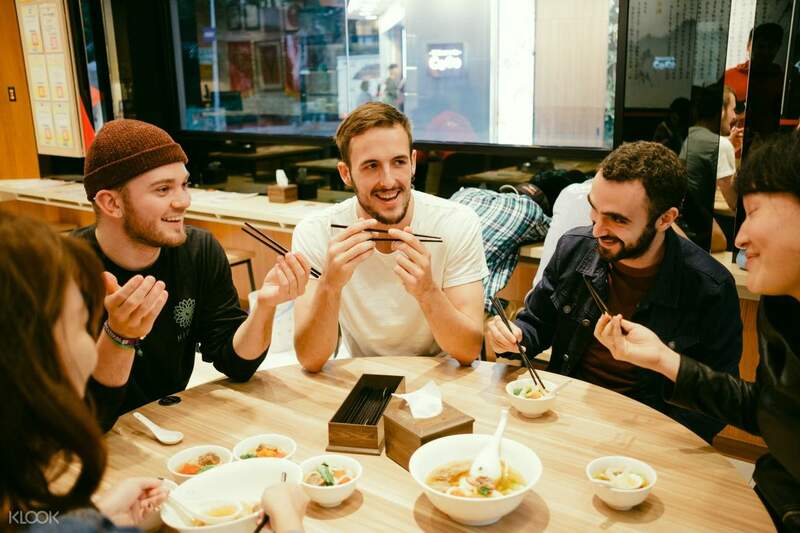 Taipei is undoubtedly a foodie's destination, and this tour of Yongkang Street aims to bring you the full flavors, aroma, and sights of Taiwanese cuisine! The busy Yongkang Street is a one-stop destination for travelers visiting Taipei. It boasts ample options to choose from — think roadside vendors, dim sum restaurants, Melbourne-inspired specialty coffee cafes, French patisseries, and more. 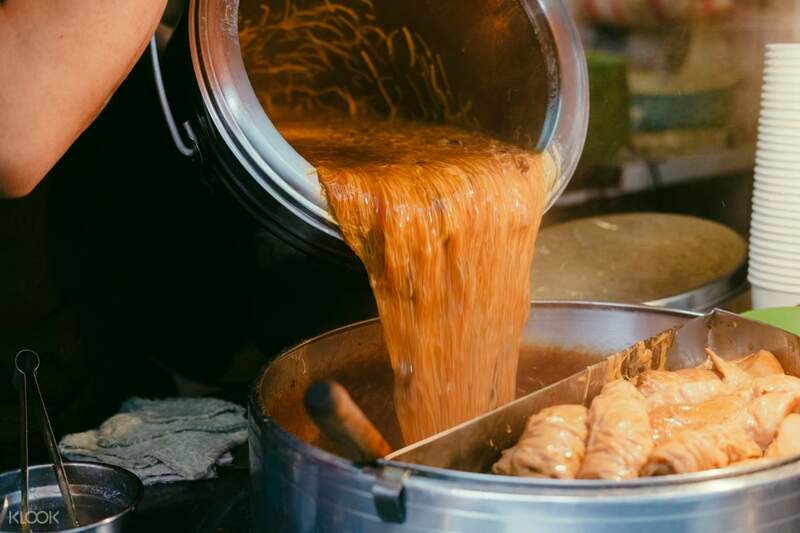 On this tour, come with an empty stomach and taste all the delicious Taiwanese cuisines, from flaky scallion pancakes and beef noodles to the taro or mango shaved ice and bubble milk tea! Listen to the tour guide's commentary on Taiwan's history and cuisine as well. 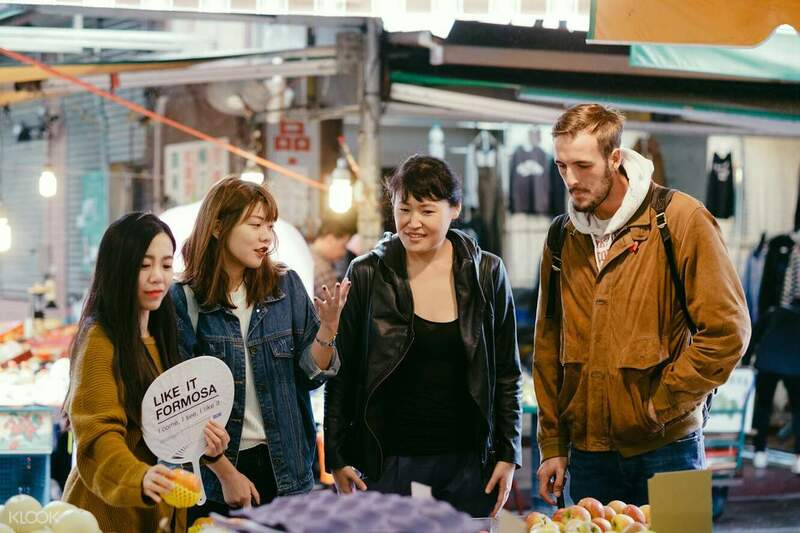 If you want to eat like a local and believe that the best way to learn about a culture is by tasting it, then this food tour of Yongkang Street is for you! Learn to eat like a local, listen to your knowledgeable guide, and enjoy the food! 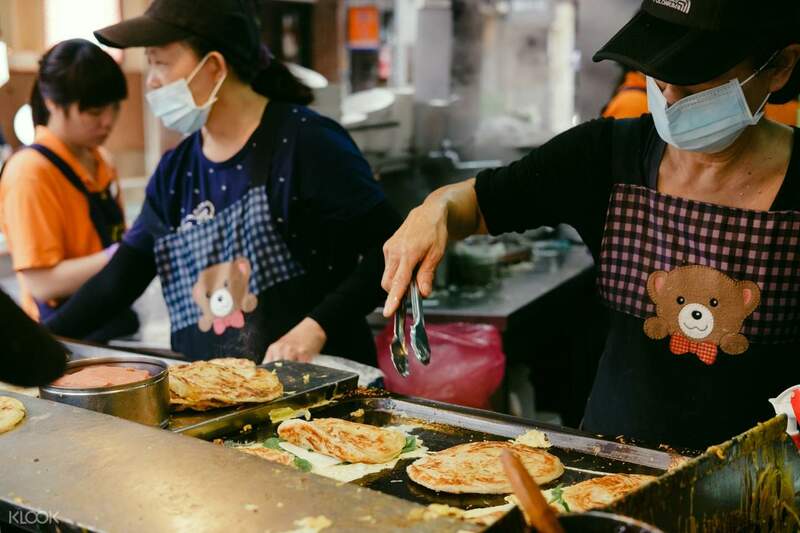 Try the flaky scallion pancake, the most Taiwanese favorite snack, for the highlight of your tour! Despite the heavy rains, this tour was definitely a great way to learn the basics of Taiwanese and maybe, China’s food as well. The tour took us around the Dongmen district, specifically Yongkang street where we sampled dumplings, vermicelli soup with pig intestines, noodle soups, scallion pancakes, bubble tea (milk tea), and shaved ice. The tour was very informative, sharing the history as well as the differences between Taiwanese food and Chinese food, plus all the regional variations as well. The location of the tour wasn’t bad, because Yongkang street also has a lot of interesting local shops to buy souvenirs after the tour. Despite the heavy rains, this tour was definitely a great way to learn the basics of Taiwanese and maybe, China’s food as well. The tour took us around the Dongmen district, specifically Yongkang street where we sampled dumplings, vermicelli soup with pig intestines, noodle soups, scallion pancakes, bubble tea (milk tea), and shaved ice. The tour was very informative, sharing the history as well as the differences between Taiwanese food and Chinese food, plus all the regional variations as well. The location of the tour wasn’t bad, because Yongkang street also has a lot of interesting local shops to buy souvenirs after the tour. I liked that we started with the local market, and I agree that visiting a wet market is a good start to understand the culture of a nation. I liked that we started with the local market, and I agree that visiting a wet market is a good start to understand the culture of a nation.